☛ LIFE magazine: Movie ― “Ingrid Bergman Takes A Short Holiday From Hollywood”, photographs by Bob Landry, February 24, 1941, p. 46 (PDF). 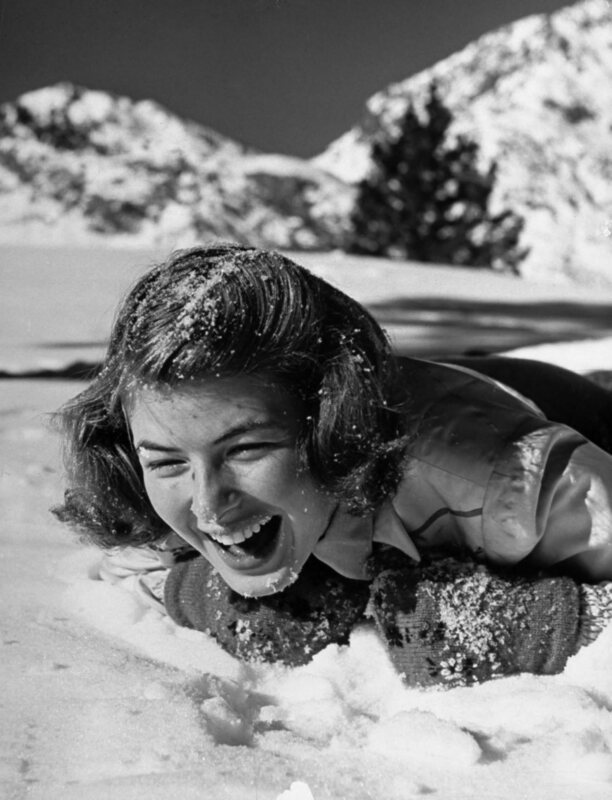 Original captions read: “Told to avoid ski trick till her movie is completed, Ingrid gets some fun popping snowballs at her husbands”. All large formats retrieved from Bergmania © Time Life Pictures/Getty Images. Ingrid Bergman is Sweden’s most promising export to the U.S. since Greta Garbo. At first she did not want to leave her native Stockholm. She had there an enviable reputation as a stage and screen actress, a fine big Swedish doctor for a husband, and a baby daughter. She did not see what else Hollywood had to offer. But Producer David O. Selznick (Gone With The Wind, Rebecca) saw her in a Swedish film called Intermezzo and could not rest until, with promise of handsome pay and glorious future, he had her under contract. She arrived in the U.S. 21 months ago. Like her famous countrywoman she was exceedingly tall and exceedingly beautiful. Unlike Garbo, she eschewed mystery and glamor, met interviewers with a directness and sincerity that toot them off their feet. Her first Hollywood movie, Intermezzo [a remake of the Swedish version of 1936], in English (1939), won comment mainly for her honest acting. All the photographs shown here were taken by long-time LIFE photographer Bob Landry. Landry covered Hollywood stars and documented the Second Wolrd war as well. One can browse some of the photos he took for LIFE magazine at Google Images. 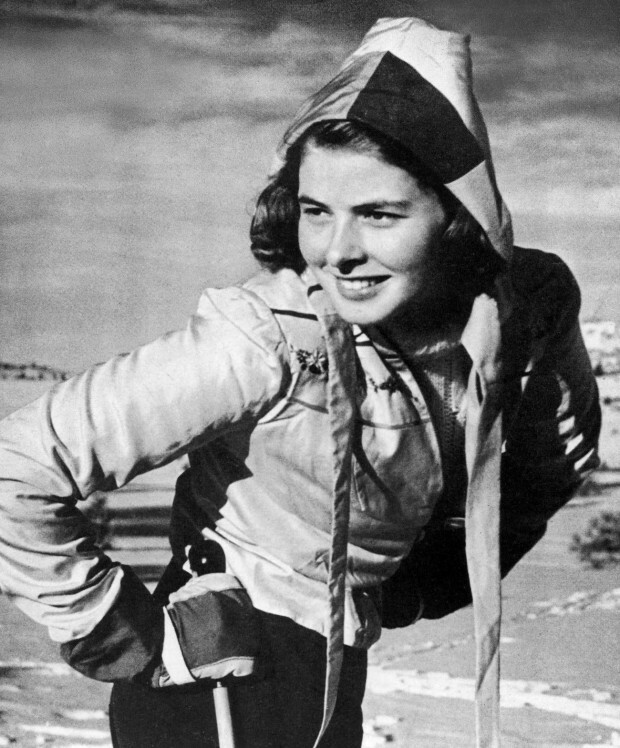 Ingrid Bergman prepares a snowball during a holiday break. Photo by Bob Landry for LIFE magazine, February 24, 1941, p. 46. © Time Life Pictures/Getty Images. 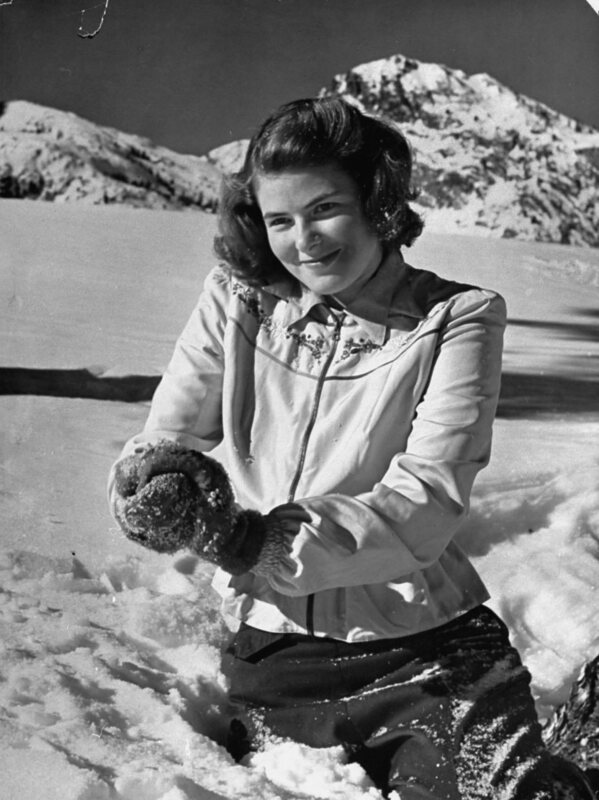 Ingrid Bergman received a snowball during a holiday break. Photo by Bob Landry for LIFE magazine, February 24, 1941, p. 46. © Time Life Pictures/Getty Images. 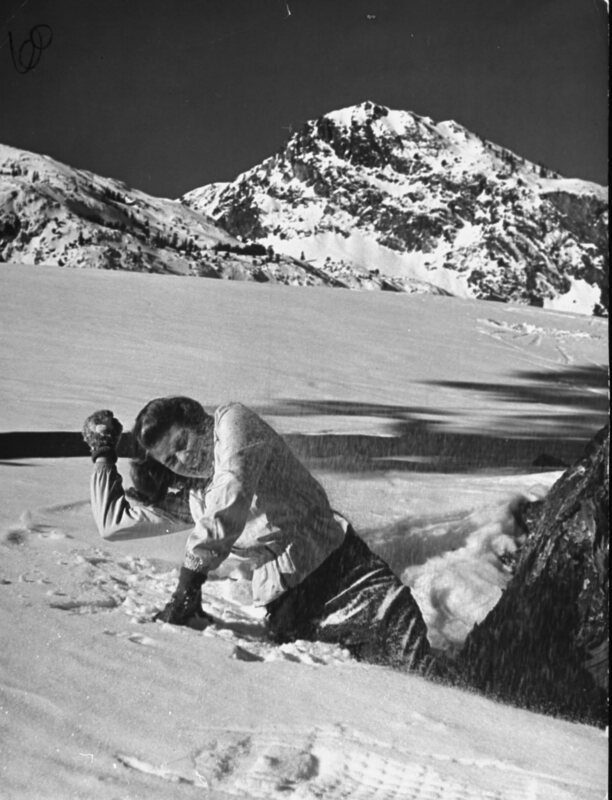 Original captions from LIFE magazine: “With the weather at 15 below zero, Ingrid Bergman skis 15 miles at June Lake near the California-Nevada border” photo by Bon Landry, February 24, 1941, p. 46. © Time Life Pictures/Getty Images.